Thank you to Elon University’s School of Law for allowing ReBuildUp to lead the Leadership Academy session on growing small business and entrepreneurship. 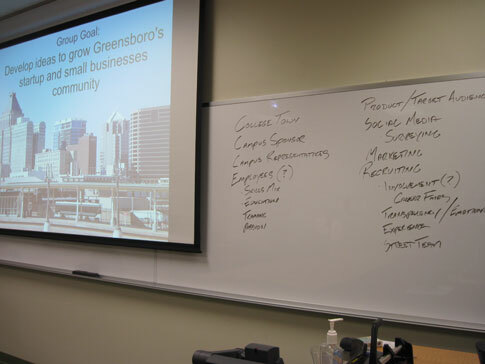 The Saturday, April 11th, 2015 day long event at Elon University’s Downtown Greensboro campus featured undergrad college leaders from six area colleges going over issues facing Greensboro to provide their own fresh ideas. The annual Leadership Academy is part of Elon’s Leadership Fellows Program. PRIVATE EVENT – The first ReBuildUp Course of the summer is set for Monday, June 8th at the College of Davidson and Davies Counties (DCCC). This will be part of the week long Business Cents Camp held on campus for students from three area high schools. Again, this is a private event not open to the public. 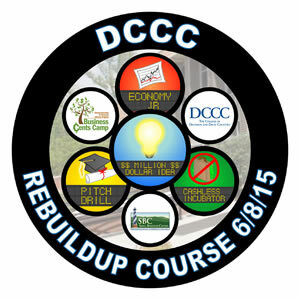 Contact us if you’re interested in a free open to the public ReBuildUp Course in your area. Today, March 1st, is ReBuildUp’s 1 Year Anniversary. In a year we’ve developed four great games played in over 37 events for over 500 participants. Thanks to all our sponsors and volunteers who’ve helped get us this far. Our goal for the coming year is to use our Startup Program to help launch first time entrepreneurs in a way that allows them to test drive the small business experience while minimizing their risks in the process. Help us celebrate our Year 1 Birthday by telling an aspiring entrepreneur about our site! PUBLIC (FREE) EVENT – The Teen Entrepreneur Fall Series rolls on to Central Library in Downtown Greensboro on Tuesday, October 14th 6-8pm. Congratulations to Team 1 of our Pitch Drill game. Thanks again to event sponsor Summit Credit Union. Team 2 listens to Pitch Drill judges. News & Record reporter Marquita Brown’s story “New campaign to battle underage drinking” will be the problem to solve for today’s Cashless Incubator as part of the Teen Entrepreneur Fall Series at Glenwood Library from 6-8pm. 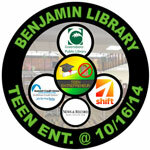 Click Here to learn more about the Teen Entrepreneur Fall Series. 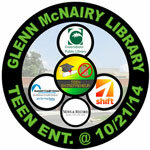 on Tuesday, October 7th 6-8pm sponsored by Summit Credit Union. 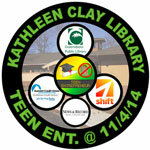 Both Pitch Drill and Cashless Incubator games will be played free for area teens. You can Call 336-297-5000 to RSVP, or just show up. 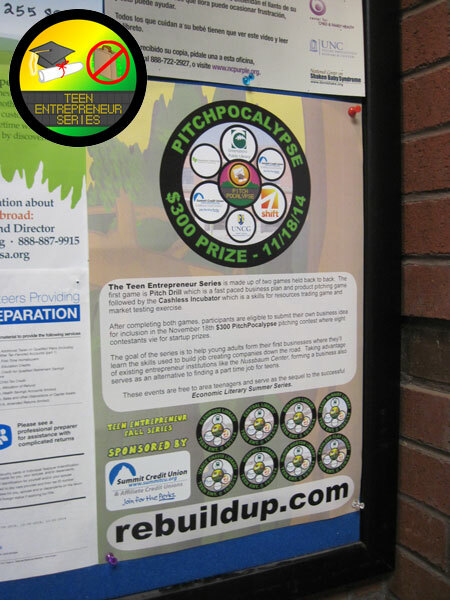 And remember, participation qualifies you to compete for $300 and other prizes in the November 18th PitchPocalypse startup pitching contest. This event has been postponed until February 2015. 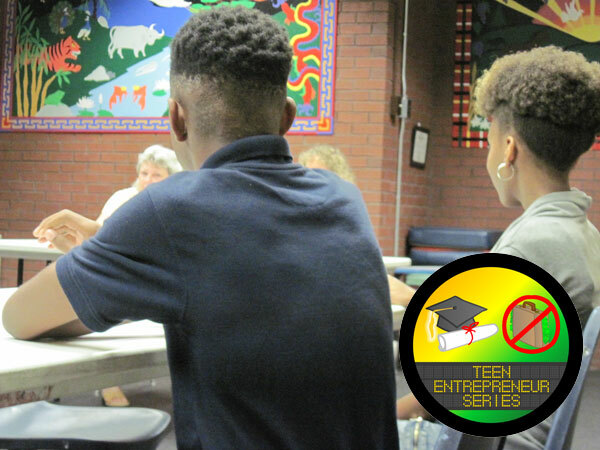 We are excited to announce the follow up to our successful Economic Literacy Summer Series at Greensboro Public Library with the Teen Entrepreneur Fall Series sponsored by Summit Credit Union. 1) Each Teen Entrepreneur event consists of our Pitch Drill and Cashless Incubator games held back to back per event to help players learn in a fun environment the basics of developing a business plan, presenting it, developing product ideas, market testing those ideas, and how to trade their skills for resources with little or no money. The Cashless Incubator game will be using headlines from the News & Record to come up with product ideas. 2) After completing a Teen Entrepreneur event, players have the opportunity to submit their own teen business idea to compete with seven others at our November 18th PitchPocalypse contest with $300 going to the winning startup along with great prizes for 2nd and 3rd place winners. 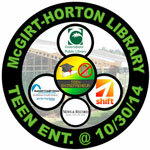 Details provided on the entry form available to players of our Teen Entrepreneur Events. 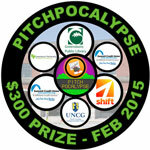 The PitchPocalypse will have judges from the Greensboro Chamber of Commerce, Summit Credit Union, and UNCG’s North Carolina Entrepreneurship Center for the November 18th event at the Greensboro Public Library Central Branch. 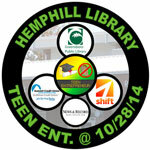 Shift, the Nussbaum Center’s Entrepreneur Group, is helping organize each of these events. We’re still looking for judges with business backgrounds for some of our Teen Entrepreneur events so if you’re interested, please Contact Us with which events work best for your schedule. The Cashless Incubator is a skills for resources trading game. It also teaches about contracts, market testing ideas, and investing. 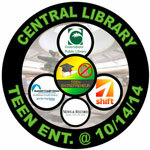 The Cashless Incubator is one of the two games along with Pitch Drill that will be played at our upcoming Teen Entrepreneur Fall Series events starting Tuesday, October 7th at Greensboro Public Library branches sponsored by Summit Credit Union. For those interested in the symbolism of our logo, hope you enjoy this video. It also gives an overview of what we do. 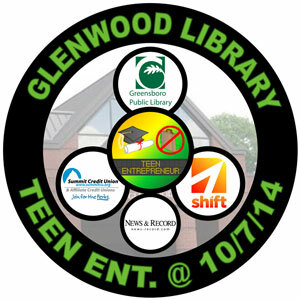 Don’t forget to RSVP your teens for one of our eight Teen Entrepreneur events at Greensboro Public Library branches for their chance at $300 and other prizes for launching their own startup. Click here for details.